It's National Curry Week and we want to settle the debate once and for all - Is Britain a nation of Snappers, Smashers or are there more unique Pappadum rituals out there? We have 10 Patak's hampers to giveaway too. 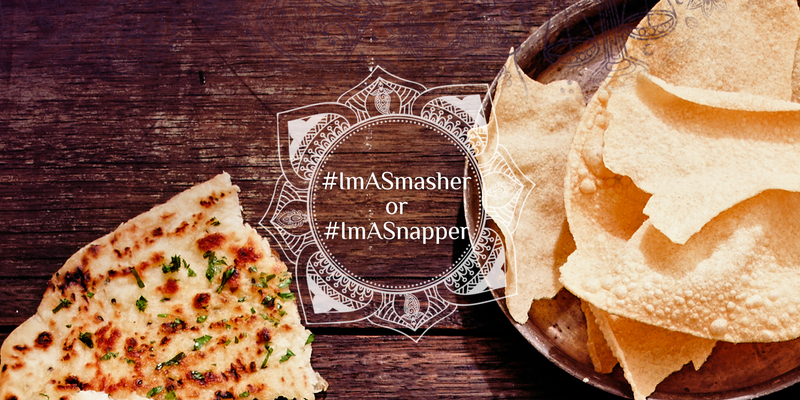 So, share with us your videos and show us how you break up your Pappadums on Facebook, Instagram or Twitter (@PataksUK) using #ImASmasher or #ImASnapper to be in with a chance of winning! Pappadums are popular in all regions of India and they have become a synonymous with Indian cuisine here in the UK. Traditionally Pappadums are made from lentils, chickpeas, rice or potato. Then these crispy snacks are shaped by hand, rolled into discs and dried in the sun. As with almost every Indian recipe, each family and region have their own variation of how to make them. Our family is no different and our Pappadum recipes offer delicious flavour and texture to any meal. Ours are perfect for sharing and they are as light and crunchy as your restaurant favourites! Eat them alongside chutneys, pickles and don't forget to dip them into and mop up your favourite curry dish. Whether you are a snapper or a smasher, Pappadums will add fun and make your next curry night an Indian meal to remember!